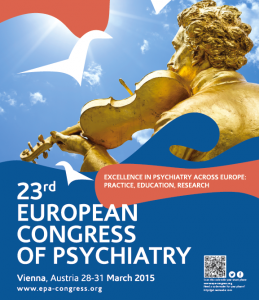 The 21st European Congress of Psychiatry took place under Professor Danuta Wasserman’s presidency. The Congress motto was “Europe Challenges the Burden of Mental Disorders.” The congress brought together over 3700 participants from 90 countries. The 20th European Congress of Psychiatry took place under the presidency of Professor Patrice Boyer. The theme of the congress was “Beyond Diversity Towards Harmony.” The congress was attended by about 3200 participants. 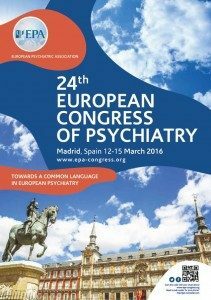 The 19th European Congress of Psychiatry was organised under the presidency of Professor Patrice Boyer. The congress was attended by over 4000 participants. 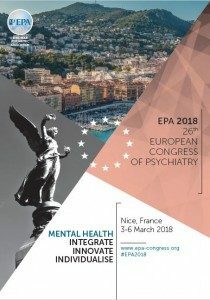 The 18th European Congress of Psychiatry, with the motto “Improve the Quality of Psychiatric Research & Treatment in Europe”, was organised under the presidency of Professor Hans-Jürgen Möller. It was attended by nearly 3500 participants. 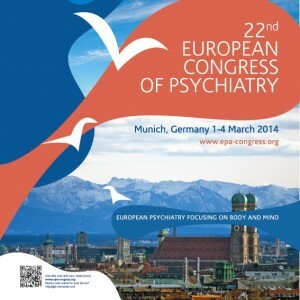 The 17th European Congress of Psychiatry was organised under the presidency of Professor Hans-Jürgen Möller. This multidisciplinary congress focused on “New Diagnostic Approaches in Psychiatry: Relevance for Research and Practice in Europe”. The 16th European Congress of Psychiatry was attended by 3000 participants from 77 countries. The event was organised under the presidency of Professor Cyril Höschl. The theme of the Congress was: “Pathways to Integrative Care”. The 15th European Congress of Psychiatry took place under the presidency of Professor Cyril Höschl. 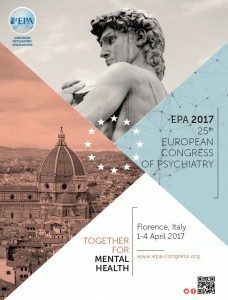 The theme of the Congress was: “European Psychiatry – Art and Science”. This successful event was attended by more than 3500 participants. The 14th European Congress of Psychiatry took place under the presidency of Professor Henning Sass. 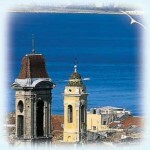 The theme of the Congress was: “New perspectives on treatment in psychiatry”. The high-quality Scientific Program provided a full update on the most important aspects of treatment and patient care and attracted more than 2700 participants from 62 countries. 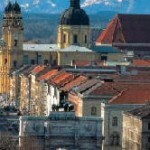 The 13th AEP Congress took place in Munich, Germany under the presidency of Professor Henning Sass. The theme of the Congress was: “European Psychiatry: The interface between biological and social factors” and more than 2000 participants from 61 countries enjoyed its rich Scientific Programme. 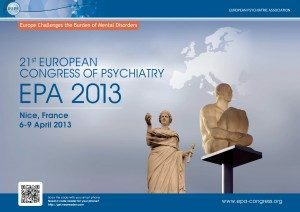 The 12th AEP Congress took place in Geneva, Switzerland, from 14 to 18 April 2004 under the presidency of Professor Mario Maj. Its theme was: “European Psychiatry: Evidence and Experience”. The congress was well attended and featured a very attractive Scientific Programme, representing the most significant research lines currently active in Europe. The 11th AEP Congress took place under the presidency of Professor Göran Sedvall. Its theme was: “European Psychiatry, Science and Humanity in Health Care”. The 10th Congress of AEP was organised under the presidency of Professor Norman Sartorius. Its theme was: “Growing together in diversity”. The 9th Congress of AEP was held under the presidency of Professor Jules Angst. Its theme was: “Standards for psychiatry”. The 8th Congress of AEP took place under the presidency of Professor Robin Murray. Its theme was: “A force for the future”. The 7th Congress of AEP was organised under the presidency of Professor Per Bech. Its theme was: “European Psychiatry East and West”. The 6th European Congress took place under the presidency of Professor Pascual Ballus. Its theme was: “Psychiatry in 1992″. The 5th European Congress took place under the presidency of Professor Hans Heimann, founding member of the association. Its theme was: “Recent advances in psychiatric research and their applications to diagnosis and treatment in psychiatry”. The 4th European Congress was held under the presidency of Professor Léonard Singer. Its theme was: “Epidemiology and Therapy Research in Psychiatry”. The 3rd Annual Meeting was organised under the presidency of Professor Léonard Singer. Its theme was: “Psychiatric Care in Europe”. The 2nd Annual Meeting took place under the presidency of Professor Léonard Singer. Its theme was: “Present trends in Psychiatric Research in Europe”. The 1st Symposium was held under the presidency of Professor Léonard Singer, founding member and first president of the association. The theme of the Symposium was: “Position of French and German-speaking psychiatrists and modern trends in nosology”.